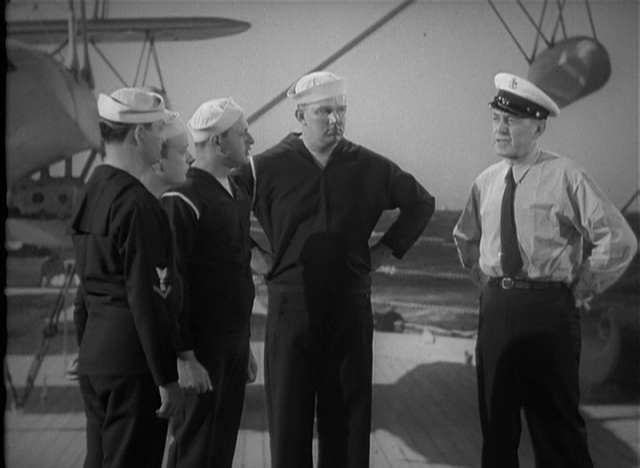 The adventures of three disparate cadets at the US Naval Academy–one the son of a Navy enlisted man, the other the scion of a wealthy family, the third decent but somewhat slow-witted–and their struggles with the rigors of the academy, women, and each other. 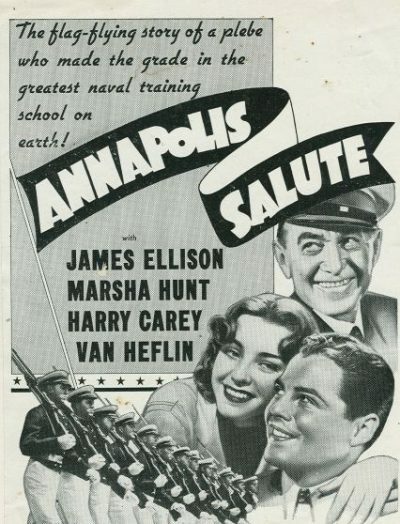 ANNAPOLIS SALUTE is a short and sweet 65-minute film about Bill Martin (Ellison), a new cadet at the U.S. Naval Academy. 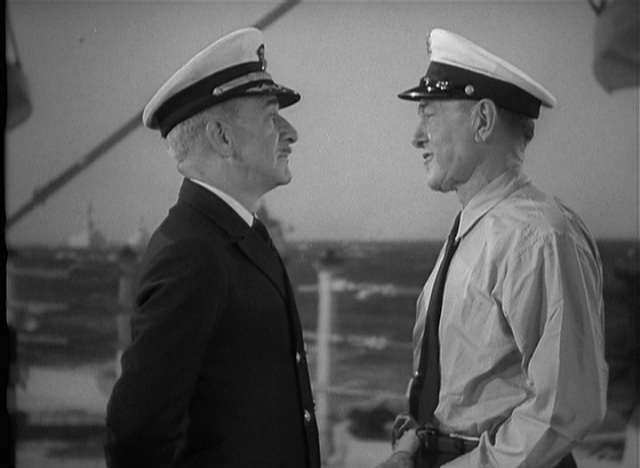 He falls in love with Julia (Hunt), the sister of his classmate (Arthur Lake); unfortunately another classmate (Van Heflin) is also taken with Julia, creating conflict between the men, but she’s only got eyes for Bill. The path to true love isn’t smooth, especially when a drunken young woman (Ann Hovey) has a car wreck with Bill’s cap in her car, which gets him in trouble with the academy; Bill and Julia also face pressure from Bill’s proud father (Harry Carey Sr.) not to get too serious too fast, given how many years it will be before Bill is free to wed.
Ellison, who had spent the previous couple of years appearing in a number of Hopalong Cassidy Westerns, is appealing as an honorable young man, and Hunt is charming as always, managing to imbue her lightly written character with more depth than appears on paper. Carey similarly always adds tremendously to any film in which he appears. 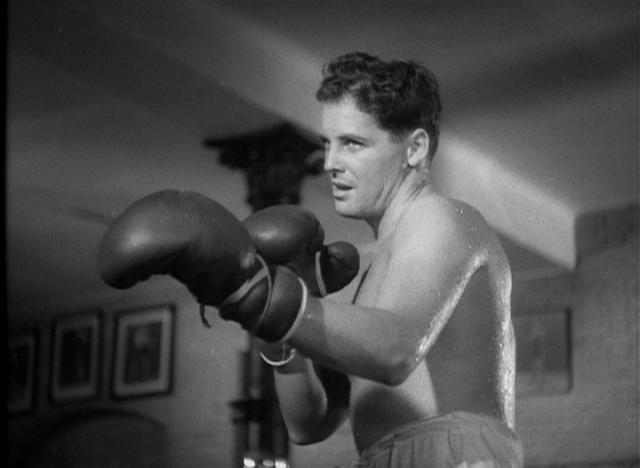 Hunt and Heflin would both later work at MGM; half a decade after appearing in ANNAPOLIS SALUTE, they costarred in MGM’s KID GLOVE KILLER (1942) and SEVEN SWEETHEARTS (1942). ANNAPOLIS SALUTE isn’t anything out of the ordinary, but it does what it sets out to do, entertain its audience for an hour or so with an interesting story about young men in the service. Viewing this knowing that it’s likely all of these young men would have been serving in WWII around the time of their graduation gives the film a bit of added poignance; indeed, it seems quite likely that many of the men seen in the background would later serve in the war in real life. — Laura Grieve (Laura’s Miscellaneous Musings).